The 15:17 to Paris is not a good movie and likely never should have been a movie in the first place. Prior to Gone Girl coming out in 2014 there was an interview with director David Fincher where he stated in regards to the adaptation process that, "The book is many things. You have to choose which aspect you want to make a movie from." This is likely what writer Dorothy Blyskal should have done were she to stand the chance of making a compelling picture out of the lives of the three young men that saved a passenger train full of people from being killed by a terrorist in 2015. 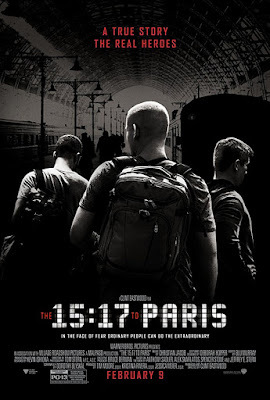 There is no disputing what these guys did was heroic and that, if their story was going to be turned into a feature film, that it deserved to be a compelling one, but The 15:17 to Paris is not that movie. 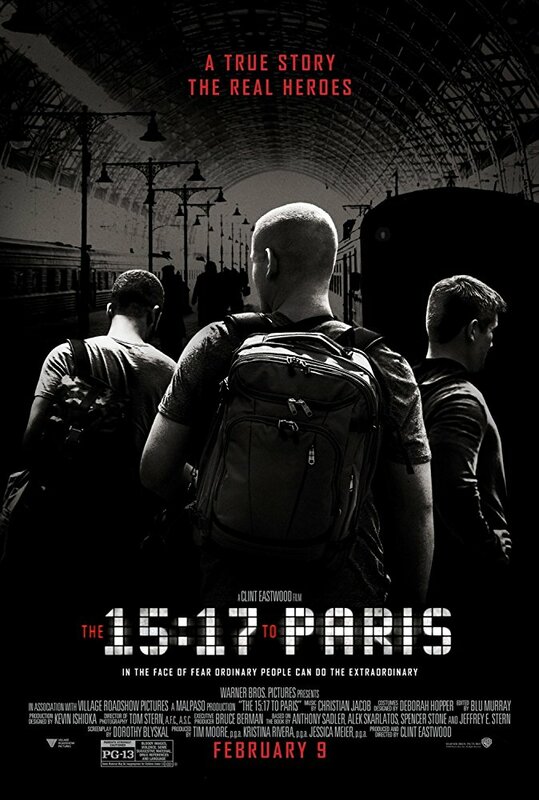 No, The 15:17 to Paris isn't really much of a movie at all despite the fact it could be looked at as one of great risk and ambition. Directed by Clint Eastwood, Blyskal's script decides to tell the broad story of the friendship between our three protagonists whom Eastwood decided to cast with the real heroes themselves rather than having actors portray them. Unfortunately, Blyskal not choosing an aspect of these guy's lives to zero in on and make a movie out of essentially separates the picture into two distinct halves: one being the military recruitment ad the first half functions as while the second forty-five minutes may as well be a European travelogue with the event we're all in the theater to see being tacked on in the last twenty or so minutes. This final sequence is the only part of the film that holds any real tension, any real drama, or hint of any real style that resembles that of a film produced by a major studio and made by an Academy Award winning director and actor. Of course, just as The 15:17 to Paris probably never should have been a feature film it was never going to be a feature film in the traditional fashion, but more one that solidified Eastwood is now making statements with his efforts rather than simply pondering and contemplating with his art. For Eastwood, The 15:17 to Paris is the definition of heroism; no qualms, no frills, no debate about it. That's fine and I can appreciate the choice, but defining a certain quality doesn't automatically make that representation of the same quality. Spencer Stone, Anthony Sadler, and Alek Skarlatos are heroes, no doubt, but their movie is (unfortunately) pretty terrible.